Eating sweets makes you happier. Fact. But the science behind why we love sweets so much is a lot more complex than you think! In this blog, we take a look at why some people have more of a sweet tooth than others, why children crave sugar more than adults do... and we'll reveal which animal can't taste sugar at all! What is a sweet tooth and why do you have one? Someone with a sweet tooth is someone who adores sweets! (Our favourite kind of people). But how does someone acquire a sweet tooth? Well, research suggests that a sweet tooth can be attributed to a number of things including; your genetics, the environment you grew up and live in, and your fondest memories of sweets. Firstly, your DNA determines how sensitive your taste buds are to the taste of sweet foods, so you should be grateful if you're one of the lucky people who's born with taste buds that love sweets! Secondly, the environment you grow up and live in also plays a role in forming your sweet tooth. If your parents used to give you sweet treats as a child and if you regularly have sweets and chocolate in the house or around you at school/work, then you're much more likely to develop a sweet tooth! Finally, if you associate fond memories with sweets then you'll be driven to re-create those feelings over and over again. Remember how yummy an ice cream on the beach on a hot day tastes... eating ice cream is likely to take you back to that happy place! Why do children love sugar more than adults? The reasons children have such an obsession with all things sweet and sugary is due to their bodies demanding lots of calories to use while they're growing! And, research shows that children who eat more sugar have faster growth spurts and can even end up taller than those who don't eat sweets. 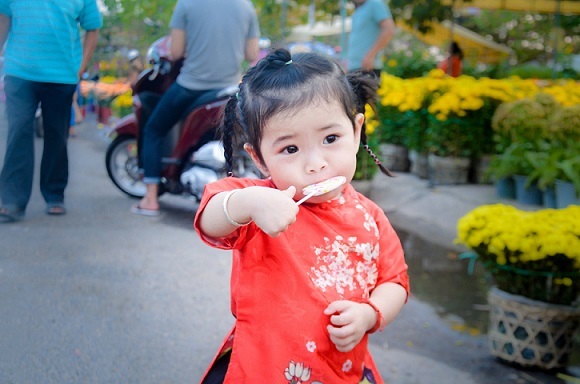 Of course, we recommend only giving little ones sweeties in moderation and making sure they brush their teeth after - but don't prohibit sugar altogether if you want them to grow up big and strong! Why not treat a little one in your life to one of our new children's Letterbox Treats? 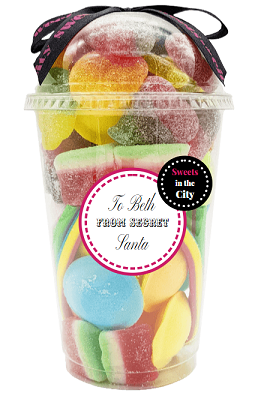 The box and sweet fill can be easily personalised to make this a truly delightful gift! So... which animal can't taste sugar at all? CATS! 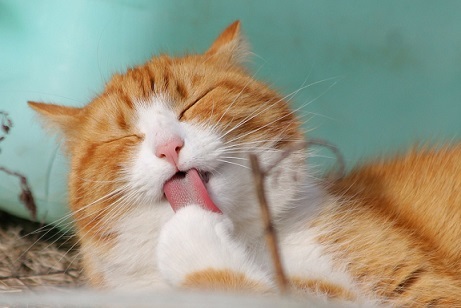 Unluckily for cats, they don't have the same sweetness receptors that most other mammals have. Most cat owners are adamant that their cat loves sweets, but it is more likely the fat content of the sweet foods that they are drawn to. They're still sweet and adorable regardless! So now that we've uncovered some lot of the science of sweets, why don't you treat yourself to some yummy sweet treats? We have a whole host of sweets to choose from on our Pick & Mix page, or you can choose something from one of our other Collections and enjoy! We have two new amazing children’s Letterbox Treat designs on our site! Have you seen them yet? 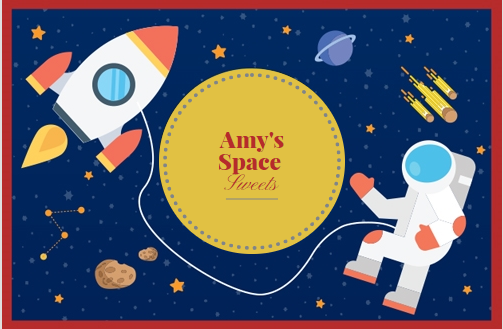 They have been created with curious kids who love sweets in mind; one features friendly prehistoric dinosaurs while the other shows an amazing astronaut in outer space! These are sure to put a sweet smile on any child’s face and get them excited about learning. The first is a roar-some dinosaur themed box that features these three colourful dinosaurs. Can you name all three species? We think this would make a lovely birthday gift for a kid who loves dinosaurs and history. 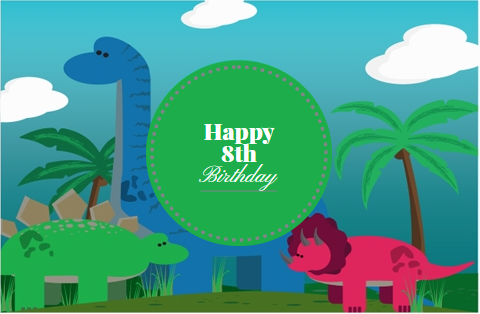 Are you throwing a dinosaur party for their birthday? Why not host a fossil hunt in your sandpit? The second design is this super cool space sweet box featuring a rocket and an astronaut. This box is sure to get your kid thinking about science and technology – perfect if you’re planning a day out to the national space centre or if you’re throwing a space birthday party! Personalise your Letterbox – you can change the text on the front & write a message inside! Your Letterbox Sweets will be delivered right through your letterbox making this a great gift choice if you’re a busy parent who doesn’t have time to go out and buy a gift from the shops. We know that kids love sweets, and they’re sure to love and treasure their personalised box with such a cool design on too. The start of a new year means preparing for another 365 days of exciting festivities. We've put together this helpful chart to give you an overview of some dates worth putting in your diary - dates like Valentine's Day, International Women's Day, and of course Star Wars Day! It's always good to be prepared, so make a note of the dates that are important to you...and don't forget to stock up on sweet gifts for that special someone! 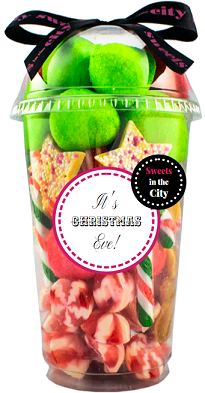 Merry Christmas from Sweets in the City! Are you a Jelly Sweets Lover? If you’ve got a notorious sweet-tooth, then it’s likely that you have a favourite kind of jelly sweets. In our pick & mix selection we offer all kinds of jelly sweets; from yellow belly snakes to terrific turtles and cola bottles, your options are seemingly endless. No matter what shape you choose jelly sweets are chewy, delicious and incredibly moreish! In this blog, we take a look at some of the most notorious jelly sweets on the market – read on to find out some interesting facts about your favourite gummy treats. The humble Jelly Bear (or gummy bear) is considered the pioneer in the jelly sweets community! The success of gummy bears in the early 1900s led to the creation of jelly sweets in lots of other tasty and colourful forms, including; jelly rings, snakes and cherries. Are Jelly/Gummy Bears your favourite jelly sweet? If so, why not order some from our pick & mix page? We have 3 different types for you to choose from! It may surprise you to know that Jelly Babies are more popular in the United Kingdom than the classic jelly/gummy bears are! We just can’t get enough of them! 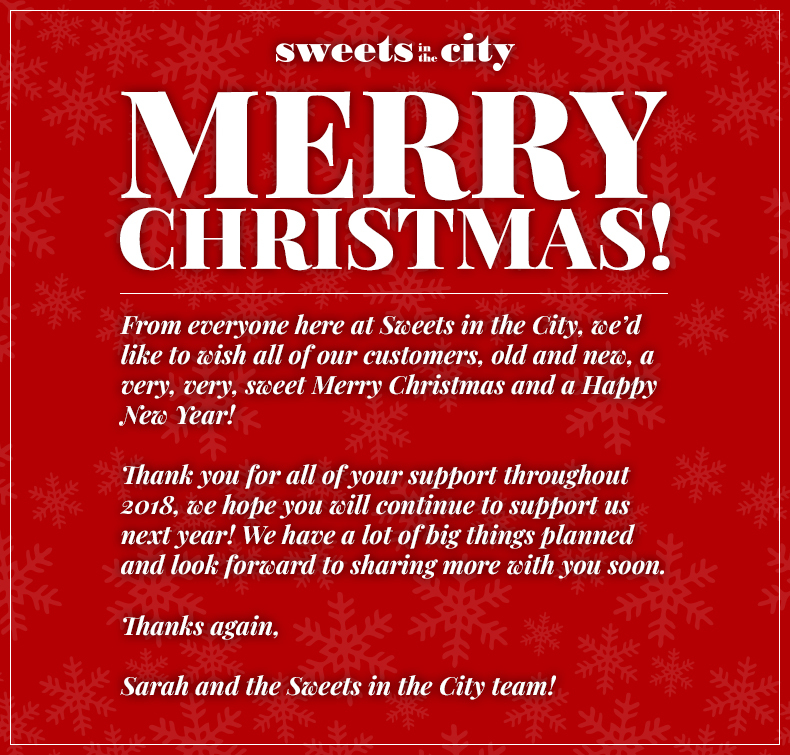 In fact, here at Sweets in the City, we love them so much that we wrote an entire blog post about them. We also stock two different kinds of jelly babies; Dusty Jelly Babies and Jelly Babies – order yours now! Jelly beans are another truly iconic take on the jelly sweet. It’s likely that, like us, you’ve been eating them from a young age and still get excited by the different colours and flavours now! Don’t you really fancy jelly sweets now? We most certainly do! Head over to our Pick & Mix page to see the entire range and be sure to check out some of the more obscure jelly sweets we have to offer – you won’t be disappointed. 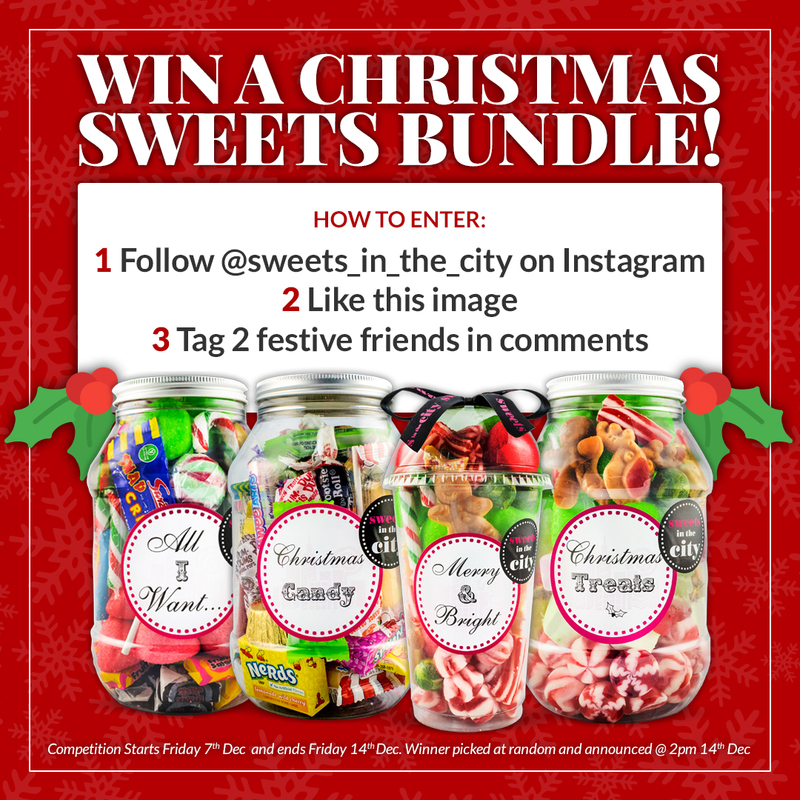 Sweets in the City Christmas Instagram Competition! Following the huge success of our previous #HideAndSweet and SweetSummer'18 competitions, we have decided it’s time for another giveaway! As Christmas is the season of giving and it has been some time since we held our last competition, we thought this would be the perfect time to giveaway some festive goodies! Our Christmas competition will run on Instagram from 7th December - 14th December 2018 and is super easy to enter once again! Yes, it’s as easy as that! The winner will be picked at random and notified via Instagram after the competition has closed after 12pm on 14th December 2018, so get ready to enjoy the sweetest Christmas yet with Sweets in the City. Click below to go straight to the Instagram post - Good luck! There are lots of sweet treats we enjoy at Christmas time, from candy canes to selection boxes and advent calendars. But where did they all come from? More often than not, we enjoy delicious festive treats without sparing a moment of thought for their origins. Don’t worry, in this blog, we explore the stories behind some of your favourite Christmas sweet treats. You’re in for a surprise! Adults and children alike look forward to the first of December when they can finally open the first door of their advent calendar. But where did the idea for advent calendars come from? Well, the idea supposedly came from a gentleman called Gerhard Lang who was inspired by a simplistic colourful Christmas countdown that his mother created for him. He took the design one step further and include small gifts, the idea took off. By the early 1900’s advent calendars, as we know them today, were widely popular. Do you have an advent calendar this year? Candy canes are an iconic symbol of Christmas, with their sweet peppermint flavour and swirly red and white design. These delicious treats originated in Germany. According to folklore, candy canes were created by the choirmaster of Cologne Cathedral as a way to keep excitable children quiet during the church service on Christmas Eve (although we aren’t convinced this was an effective choice). He asked the confectioner to shape the sugary sticks into the shape of a shepherd’s crook to remind the children of the shepherds who visited the baby Jesus. The history of where selection boxes came from is largely unknown. However, records suggest that during the 19th and 20th-century chocolatiers started to produce them and they became a popular gift but, in some cases, they would cost more than an entire week’s wages! Nowadays, the average child receives on average six selection boxes every Christmas! Leaving milk, cookies and a carrot out for Santa and his reindeer is something we’re sure you did as a child and has been done by children and parents alike for centuries. The tradition is based on an old Norse myth and became commercially popular during the Great Depression. Parents wanted to teach their children to be grateful for the gifts they received at Christmas by offering a small gift to Santa and his reindeer in return for delivering their presents. Adorable! How many of these traditional Christmas sweets will you enjoy in your household this Christmas? Why not take a look at our Christmas sweets range? You might see something a little less traditional that you’d like to try this year! The Sweets in the City team have handpicked products from across our Christmas collection that will look perfect nestled under the Christmas tree or tucked into a stocking by the fireplace. Whether you’re looking for a festive Christmas eve gift or a jar full of American candy favourites, we’ve got you covered! Here’s a little inspiration for how you can give your loved ones the sweetest Christmas this year. Some of us follow the tradition of having one gift to open on the night before Christmas. Some people even create a box of smaller gifts that can be used on Christmas eve to get children (and adults) into the Christmas spirit. These boxes contain things like, a Christmas pair of pyjamas, a Christmas movie to watch before bed, and some Christmas treats to enjoy while watching it! We think that our Merry and Bright Super Shake would be an amazing addition to your Christmas eve box, or as a stand-alone Christmas Eve treat! but it can also be personalised for FREE! 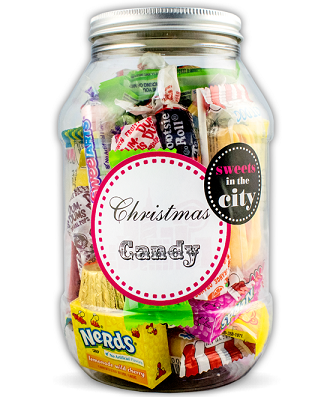 Whether Santa pops this Jar of Joy under the Christmas tree as a festive surprise, or you add it to an American themed stocking, it’s sure to be a hit. Remember that all of our sweet gifts can be personalised and delivered for FREE. Take a look at everything Sweets in the City has to offer here or view the rest of our Christmas top picks here! Pink sweets can add a charming touch to any event, but we think there are a few occasions when pink sweets can play a central role in your celebrations. Perhaps you're planning a special gender reveal party or an adorable baby shower? From pink themed sweet buffets to adorable wedding favours, your pink sweet options are endless. Here are a few ideas to get you started. Do you have an exciting charity event, children’s party or special celebration coming up? Why not create an entirely pink themed sweet buffet or table to compliment the occasion? 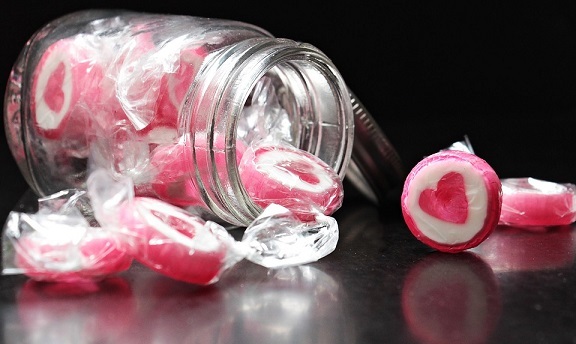 By displaying our pink sweets in clear jars or bowls you can create the illusion that you’ve spent lots of time planning and designing the event while needing to put in very little effort. You could accessorise with pink sweet scoops, pink ribbons and a pink tablecloth as you see fit to complete the look! Whether you’re having an entirely pink themed wedding or embellishing your day with delicate touches of pink, our pink sweets will go down a treat. We think a deliciously romantic option would be to wrap our Rose and Lemon Flavoured Turkish delight in tissue paper and secure it with a ribbon that complements the colour scheme of your wedding and give these to guests as wedding favours. Our Rose and Lemon Turkish delight has a soft melt in the mouth texture, a delicate flavour and a dusty icing sugar coating – perfect! 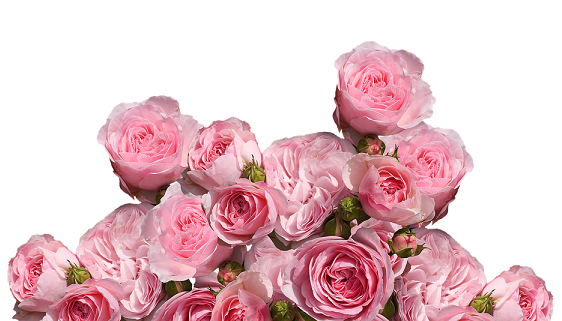 You could also fill mason jars with a selection of our pink sweets and create beautiful (and tasty) centrepieces. Why not scatter our Jelly Love Hearts across the tables as delicious edible confetti? We have lots of different pink sweets that you can browse in our Pick & Mix selection. Head to our site to browse and order yours today. Remember, all most all of our Pick & Mix sweets are available to buy in bulk! Now that November is upon us, the organised people amongst us will be starting to plan for this year’s round of Secret Santa! Did you know that the tradition of Secret Santa began in Scandinavia and was originally known as Juklapp or “knocking Christmas”? Secret Santa would knock on someone’s door, wait for it to open, throw a present inside and then quickly run away. This festive tradition might be a little questionable nowadays and has (luckily) evolved into the less invasive Secret Santa tradition we know today. Drawing a name out of the hat is the easy part of Secret Santa., choosing a secret Santa gift is the challenging part… especially if you’re buying one for someone you don’t know very well. Whether you’re buying a secret Santa gift for a work colleague, a family member or a school friend, we think our Super Shakes are a foolproof choice, here’s why. 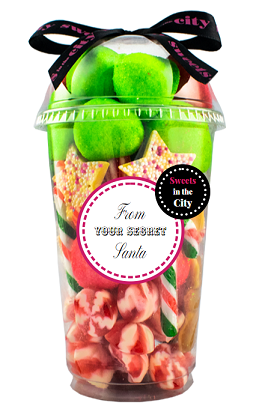 Here you can see our Merry & Bright Super Shake that has been personalised to make a Secret Santa gift. This Super Shake is perfect as a Secret Santa gift because it has a yummy festive fill and a label that can be personalised for FREE! That means you can create a special sweet gift that is sure to make anyone smile, for under £10! Do you know your recipient loves a certain type of sweets, for example; fizzy sweets or retro sweets? Why not choose a different Super Shake that’s more to their taste from our range? You can turn any of our Super Shakes into the perfect Secret Santa gift by customising it & having it delivered for free. Here, you can see a Fizzy Heaven Super Shake that we’ve personalised to show you how your special gift would look. Our Super Shakes are our top pick as Secret Santa gifts because they fit perfectly within most people’s Secret Santa budgets, and they look delightful when they’re personalised. However, all of our sweet gifts can be personalised and delivered completely free of charge to suit your Secret Santa needs! Why not head to our site to view all our sweet gifts and give your Secret Santa recipient a Christmas to remember!